Camera bracket for placing camera below or in front of TV. It works with all our mounts or it can be mounted to wall. 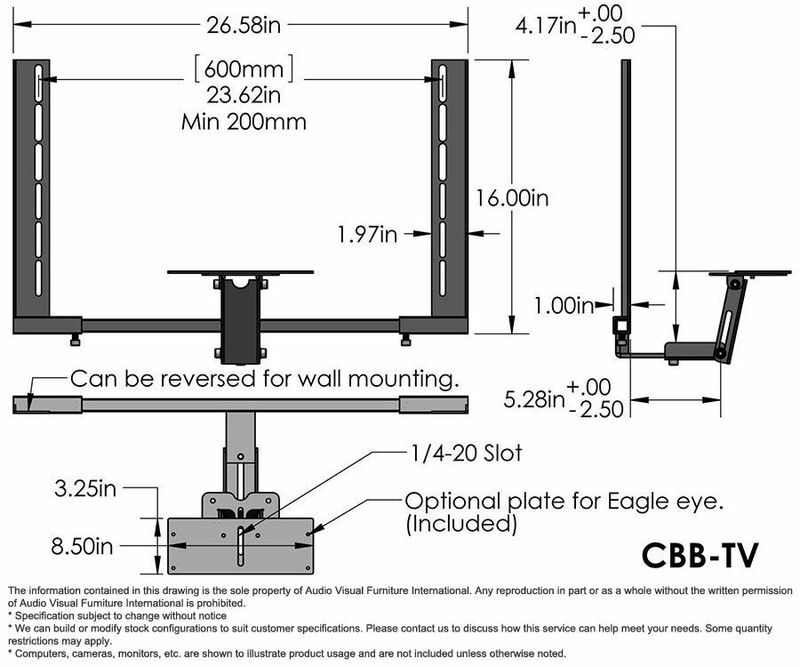 It can sandwich between universal wall mounts and TV (Any manufacturer).